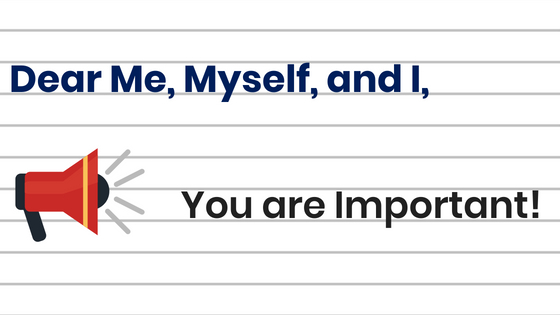 You are Important | Aimee J.
Aimee, do you remember that scene from the 2011 movie, The Help, where Viola Davis' character Aibileen tells/reminds Mae Mobley, her little charge, that she is smart, kind, and intelligent? Well, I think you need a similar reminder today, so here it is: You are important. You read that correctly. You. The person staring back at you when you look in the mirror. You. The person everyone thinks has it all figured out, but in reality wishes that life had a guide like for video games. You. The person who wakes up in the morning and sometimes wonders if you're just a supporting character in someone else's movie. You, yes you. There are over 7 billion people in the world, and every one of them, including you, is unique and important. Like snowflakes, no two people are the same, even if you are a twin. You are not the same as your siblings. You are shaped by more than just your race, gender, religion, and sexual orientation. You are defined by your personality characteristics, such as likes, dislikes, strengths, weaknesses, and life experiences. You are the total of all of that, and when you add it all up, it will never match someone else. Let's take a look at some evidence. You and your identical twin sister match up in everything, but personality characteristics. She likes peanut butter, and you do not. You studied computer science; she studied biology. She is an amateur make-up artist, and you have no interest in make-up at all. You see, no two persons are the same, and therefore each person is unique. Now that we agree you are unique let's focus on why you are important. You are here on this earth for a purpose. You may not understand or know what that purpose is, but that is okay. Life is a journey to figure out your purpose. Making mistakes and failing is all a part of the journey. You may think you're failing at life without some guide or manual, but you are supposed to make mistakes. Thomas Edison is known for saying, “I have not failed. I've just found 10,000 ways that won't work.” The same is true for you as well. When you make a mistake, you have found what may not be your direct purpose. Congratulations. That means you are one step closer to figuring out what your purpose truly is. But, don't be so focused on the result, that you forget that the journey is the most important part. The journey is your story, where you have the starring role. It is up to you to decide what that story will say. Your story can be as big as you want it to be or as simple and low key as you want it to be. It is YOUR story. Not your parents', not your sisters', not your mentors'. Yours. Besides, I feel it is only fair that I point out that as you are writing and starring in your own story, you are affecting and influencing those around you. Now don't stress out over that, it's just an unavoidable fact of life. Even if you don't intentionally try to do it, it will happen anyway, so relax. It may not be on a grand scale, but it doesn't have to be. In science, it's commonly described as the ripple or butterfly effect. Hence why your story is so important. 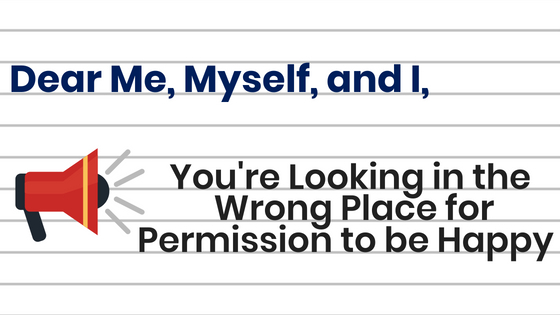 Let me wrap up this pep-talk with something we often forget. People are just people. I understand your disbelief, but it's true. Celebrities are people just like you. Athletes are people just like you. Musicians are people just like you. Politicians are people just like you. Get the idea? Oprah, Ellen, Beyonce are all people, just like you. (Side note: Beyhive don't @ me, no disrespect is intended). People are just people underneath the labels we give them because of their stories. Rebecca J. Rosen of The Atlantic did an article back in 2013 that found that roughly 0.0086% of the world is actually “famous.” In reality, it's the people without a “famous” label that make up most of the world. The world isn't looking for famous stories; it needs YOUR story. If your story makes you famous, kudos to you, but if it doesn't, then that is A-okay too. As long as it is your story, that is what matters because you are unique and unequivocally important. P.S. Keep being you, because that is what the world needs. 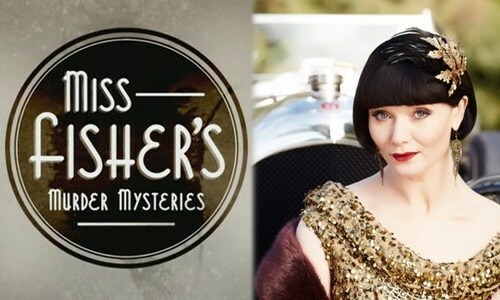 Miss Fisher’s Murder Mysteries Returns with Season 3!